You’ve probably heard about the benefits of using essential oils. These fragrant compounds can help to improve your health, lift your mood, give you an energy boost, and help you get a good night’s sleep. Many essential oils also smell great, which is reason enough for some people to want to use them. But if you haven’t had much experience with essential oils, figuring out how to use them can seem like a mystery. And maybe even a bit intimidating. 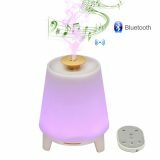 An essential oil diffuser let’s you enjoy the benefits of using essential oils that’s simple, fast and easy. It’s also safer than burning aromatherapy candles or incense, especially if you have little ones running around your house. An essential oil diffuser is a machine or device that turns essential oils into a fine mist or vapor that’s released into the air. According to aromatherapy practitioners, nerves in your nose are stimulated by the fragrances in these oils. The nerves then send impulses to your brain. And the way your brain responds to the stimulation can have a positive effect on your body. What that effect will be depends on the essential oil that’s being used. For example, there are essential oils promote relaxation, focus, and concentration. There are even essential oils that can help relieve pain. There are many ways to use essential oils. 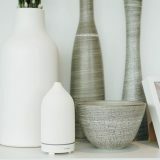 But using an essential oil diffuser is considered by many to be one of the easiest and most long-lasting ways to enjoy the full benefits of these fragrant compounds. Essential oil diffusers are a great addition to any home. But do a little research and you’ll see just how many diffusers you have to choose from. In fact, the number of choices can seem a little overwhelming. Well, we’re here to help you find an essential oil diffuser that suits your needs. 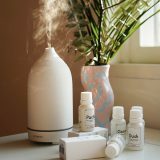 Below are our picks for what we consider to be five of the best essential oil diffusers on the market. And they run the gamut when it comes to features, price, and design. 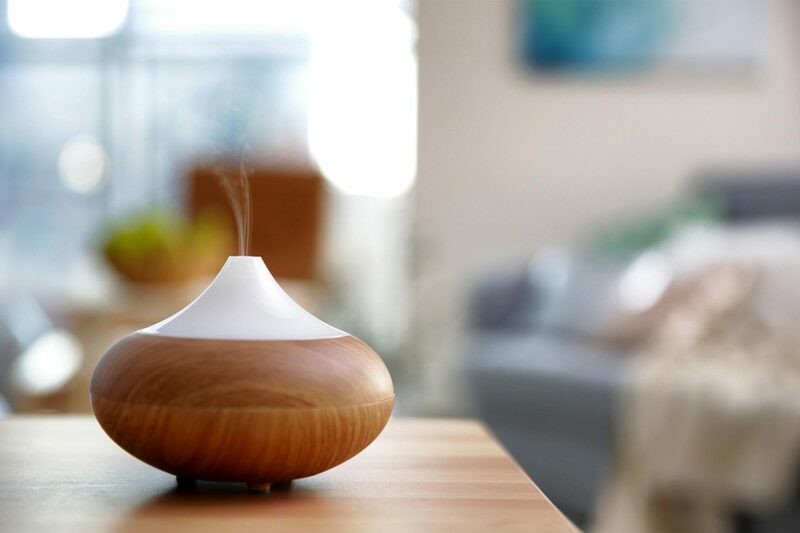 So, without further delay, here are five of the best essential oil diffusers you can buy. Our top pick is the Better Sleep Essential Oil Diffuser. 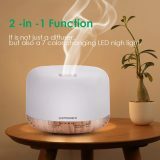 This model is an essential oil mist diffuser, an air purifier and a cool mist humidifier, all in one attractive package. Not only does essential oil mist produced by this diffuser make your home smell fresh and clean, it also helps fight mold and allergens. Some essential oils can also help to strengthen your immune system. 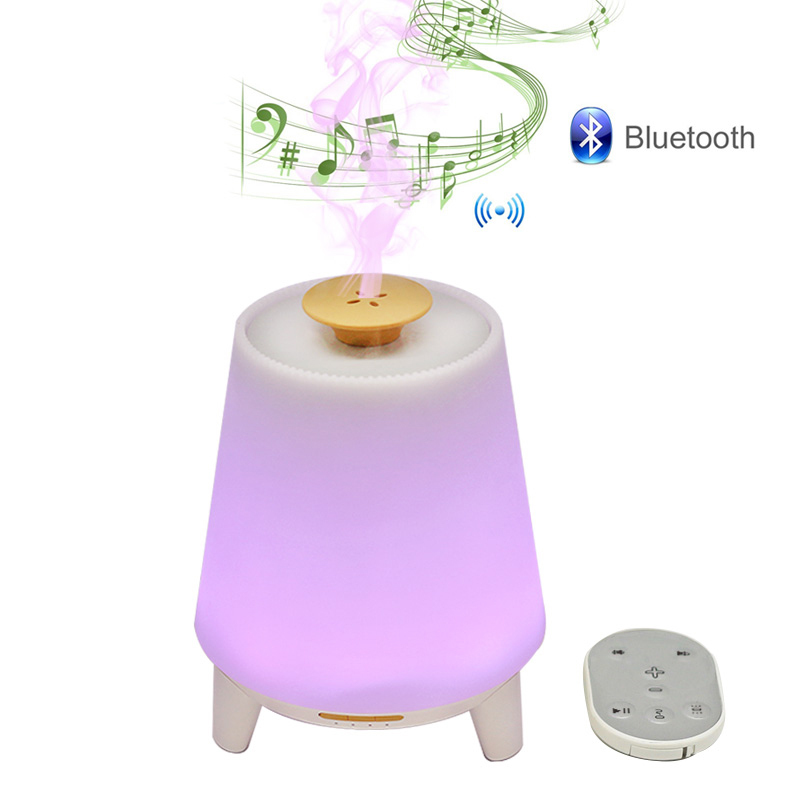 There are a lot of things we like about the Better Sleep Essential Oil Diffuser with Bluetooth Speaker. But here are two features that really stand out. 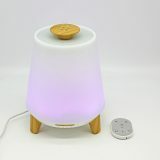 This essential oil diffuser is unique thanks to its built in Bluetooth speaker, which can connect to any Bluetooth device. The diffuser can easily establish a stable connection with a device up to 13 feet away. Not only that, but you’ll like the quality of the sound playing through the speaker. The Better Sleep Essential Oil Diffuser with Bluetooth Speaker lets you choose between four timer settings. First, you can set the diffuser to run for 60 minutes or 120 minutes before shutting down. Or you can also set the device to diffuse intermittently. The device will diffuse for 15 seconds and then pause for 15 seconds, over and over again in a repeating cycle. You can also set the diffuser to run continuously until the tank is dry. Once the water in the tank either runs low or runs out, the diffuser will shut off automatically. You can leave the diffuser running while you sleep, but don’t want to worry about the diffuser running on an empty tank. The Better Sleep Essential Oil Diffuser with Bluetooth Speaker has a 300ml capacity tank. There’s a colorful LED light. You can use the diffuser with the light on or off, whatever your preference. 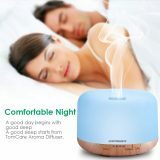 It features “Whisper-quiet operations.” Thanks to the diffuser’s advanced ultrasonic technology, it runs quietly and won’t disturb your sleep. The diffuser is BPA free, so it’s safe to use in homes where there are babies. 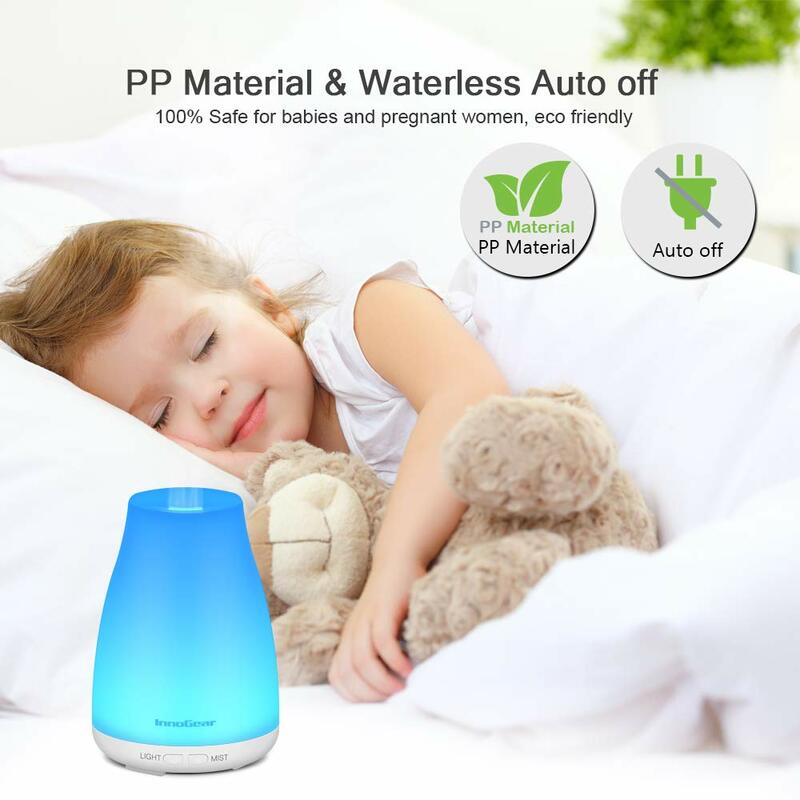 Each Better Sleep Essential Oil Diffuser with Bluetooth Speaker diffuser comes with a user’s manual, a plug adapter, and a remote control. 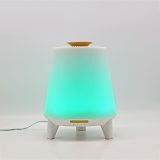 The URPOWER 500ml Essential Oil Diffuser is an aroma diffuser that can make the air in any room in your home smell clean and fresh. It also acts as a humidifier, and can add moisture to air that’s been “dried out” by winter weather or air conditioning. Adding moisture to dry air can help inhibit the spread of bacteria. A humidifier can also help those suffering from asthma, a cold, rhinitis, or even skin allergies. 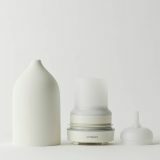 This essential oil diffuser has a lot going for it. 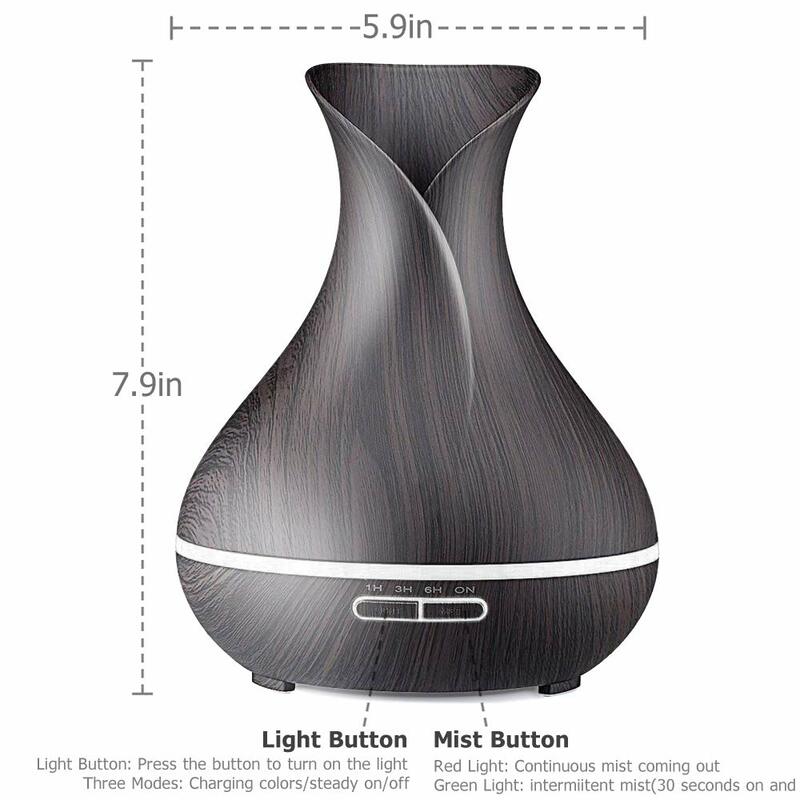 The URPOWER 500ml Essential Oil Diffuser has the largest tank capacity of any of the diffusers on our list. Thanks to the size of its tank, the diffuser can run continuously for over 10 hours. And, when the tank runs out of water, the diffuser will turn off automatically. Still, despite its size, the water tank is easy to clean. 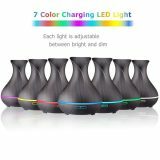 Something else we like about the URPOWER 500ml Essential Oil Diffuser is that it gives you many light settings to choose from. 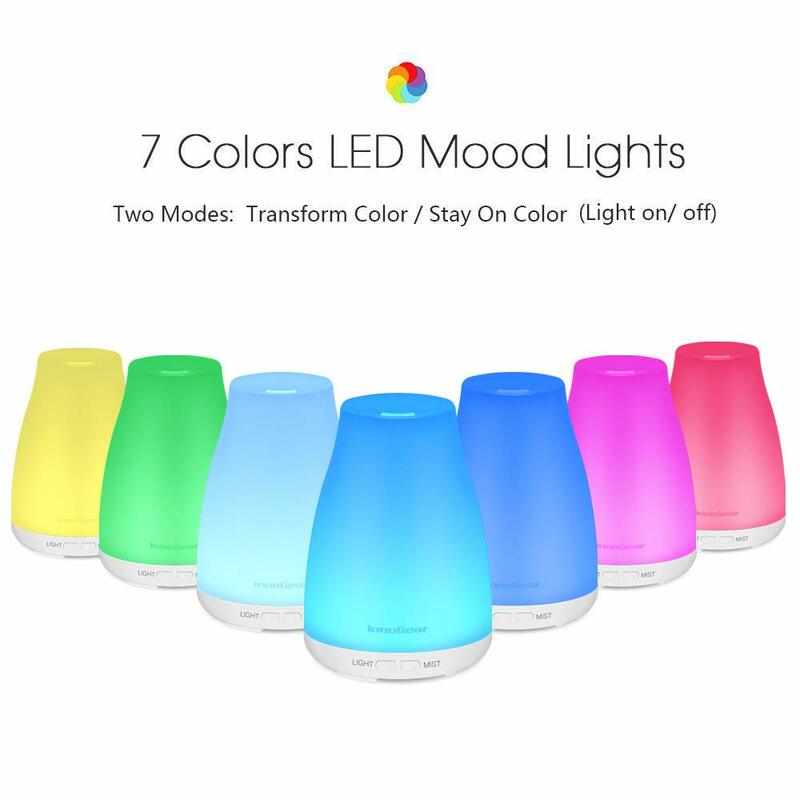 This diffuser offers you 14 soothing, color changing LED lights. 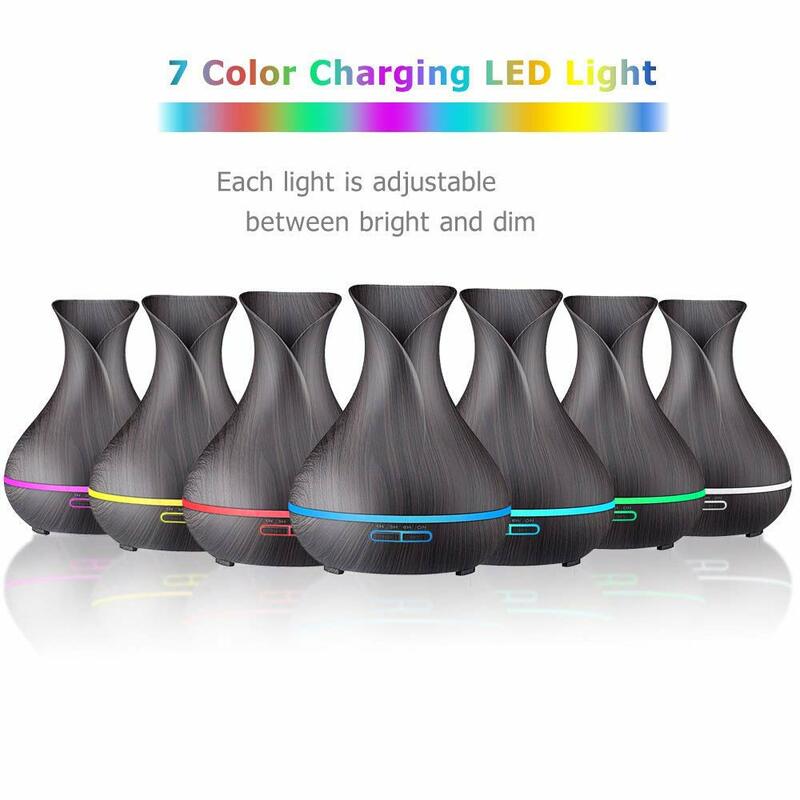 You can use one color continuously, or set the diffuser to cycle through its 7 available colors. The 15 lighting modes make it easy to set the right atmosphere in any bedroom. And if you’re using the diffuser in a child’s bedroom, it makes a great night light. The URPOWER 500ml Essential Oil Diffuser has four optional time settings. You can set the diffuser to turn off after 1 hour, 2 hours, or 3 hours. You can also set it to run continuously. When the tank runs out of water, the diffuser will shut off automatically; you don’t have to worry about the diffuser overheating because it’s running with an empty tank. The manufacturers offer online support 24 hours a day. The diffuser is made completely of non toxic and BPA free materials. Advanced ultrasonic technology ensures that the diffuser runs quietly, meaning it won’t disrupt your sleep. It’s easy to clean. All you need it detergent and warm water. Each URPOWER 500ml Essential Oil Diffuser comes with a measuring cup, a user’s manual, and a charger adapter. 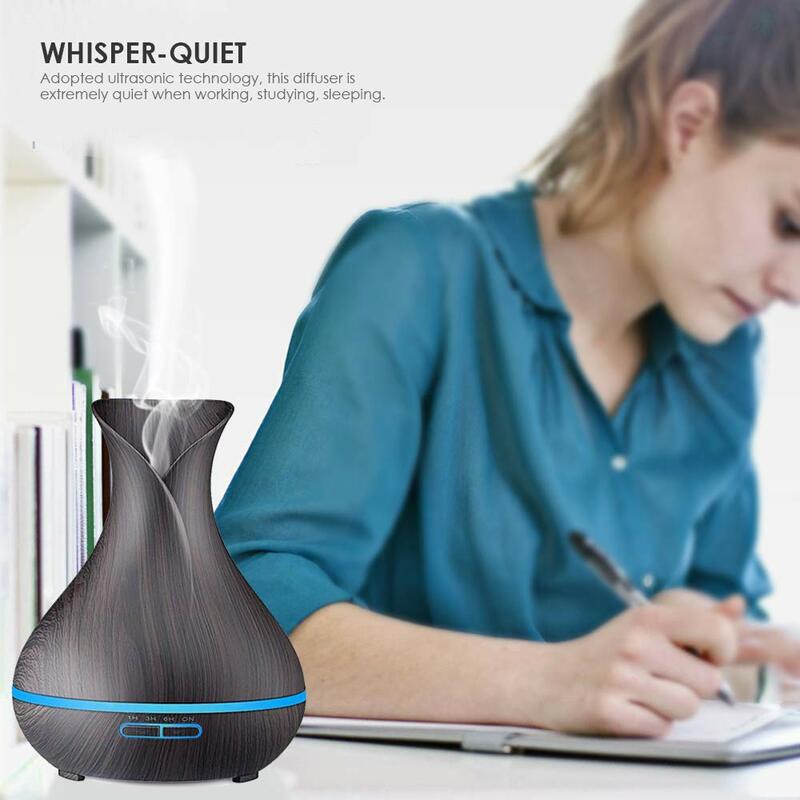 Our third pick is another essential oil diffuser from URPOWER. And one of the things we like about it is its unique design. 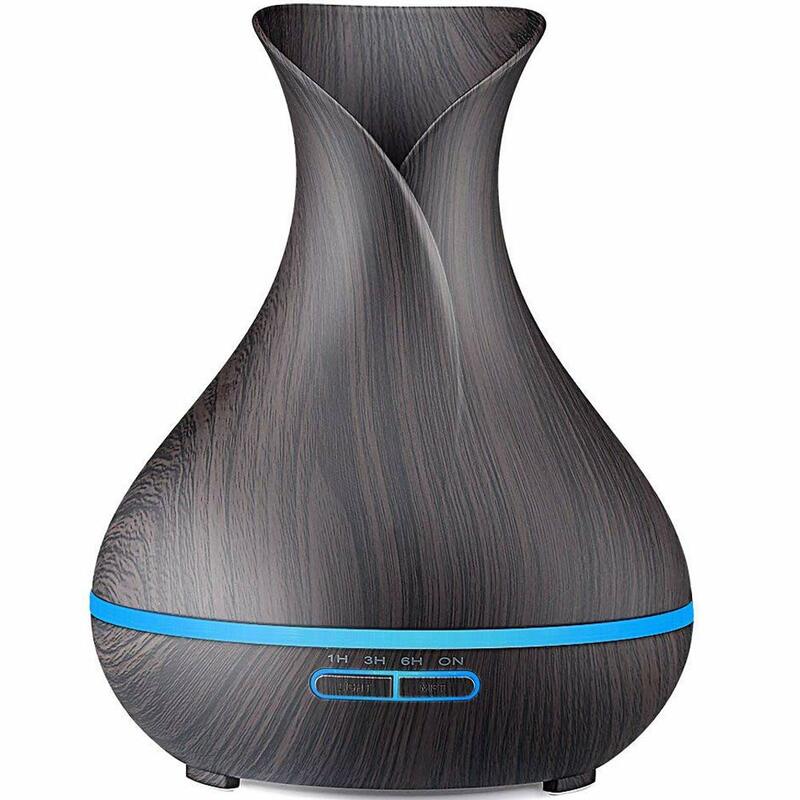 The URPOWER 400ml Wood Grain Essential Oil Diffuser has a dark, wood grain coating. And the finish looks enough like wood grain that the diffuser can seamlessly blend in with almost any décor. 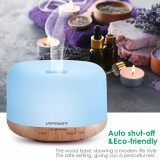 Aside from its unique look, the URPOWER 400ml Wood Grain Essential Oil Diffuser has a lot of other great things going for it. 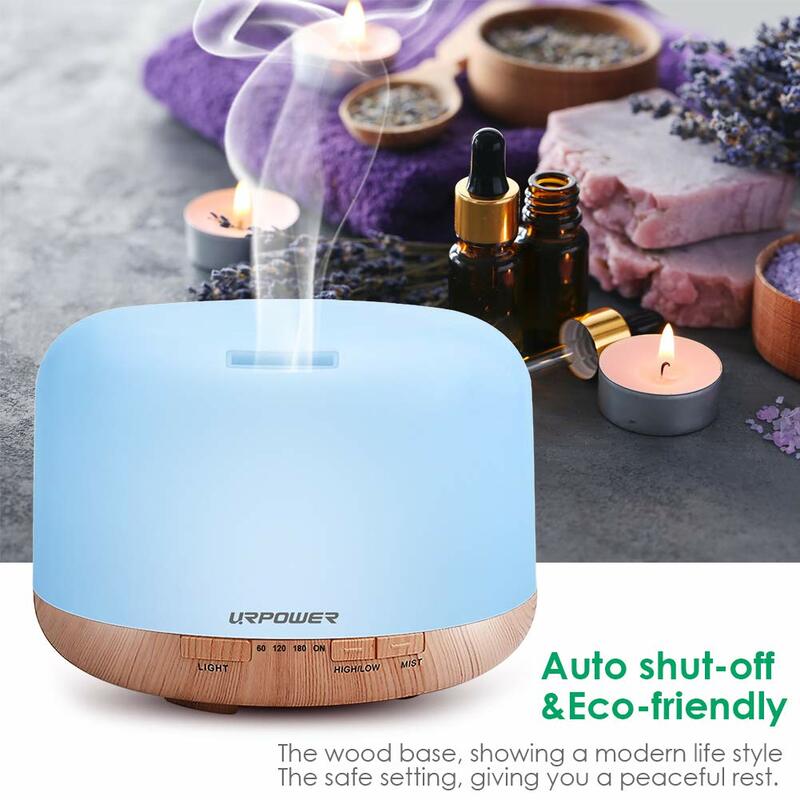 This URPOWER essential oil diffuser has an automatic shut off feature. 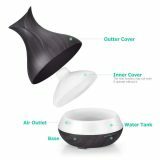 You can turn the diffuser on when you go to bed, and not worry about what will happen if the tank runs out of water while you’re sleeping. 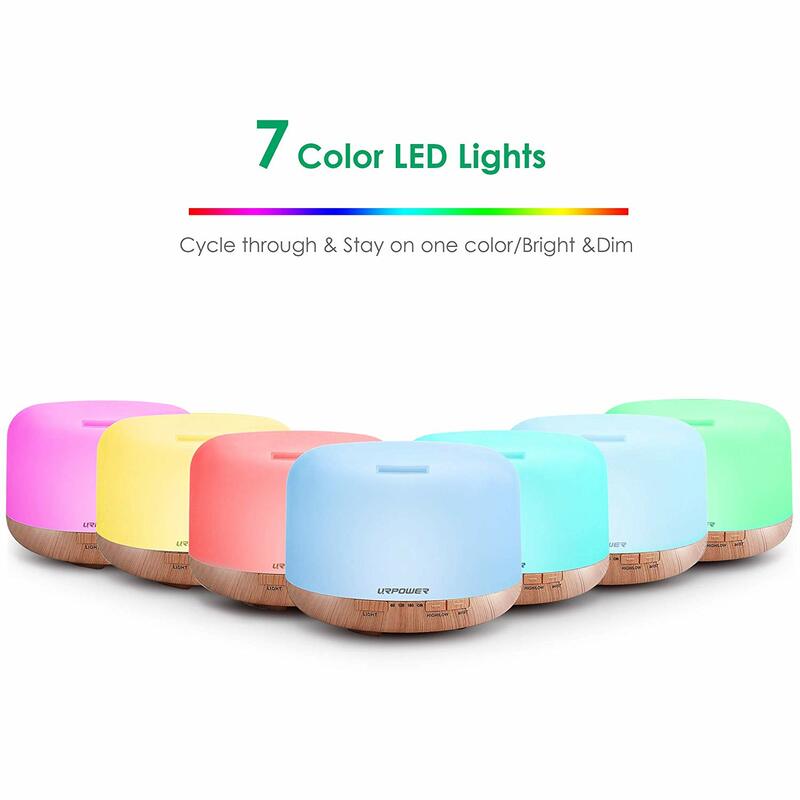 The URPOWER 400 ml Wood Grain Essential Oil Diffuser gives you 7 lighting colors. You can also adjust the intensity of the light, from bright to dim. And the light is optional. If you want to use the diffuser without the light, you can just turn the light off. 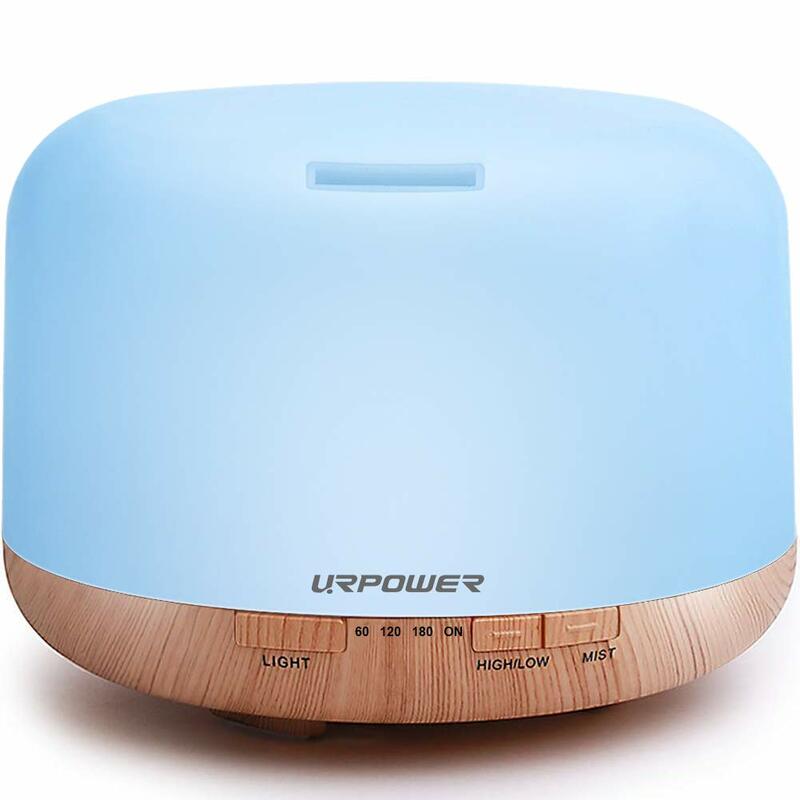 The URPOWER 400ml Wood Grain Essential Oil Diffuser has a 400ml capacity water tank. The diffuser can run continuously for 10 hours or more before the tank runs dry. You can choose between high mist output and low mist output. The timer function gives you four settings to choose from: 60 minutes, 120 minutes, 180 minutes, or continuous mist. The diffuser is made using BPA free plastic. 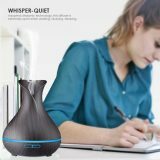 The diffuser is “whisper quiet.” Thanks to advanced ultrasonic technology, the diffuser runs quietly enough that it won’t disturb you, whether you’re sleeping, watching TV, or having a study session. Every URPOWER 400ml Wood Grain Essential Oil Diffuser comes with a measuring cup, a user’s manual, and a charger adaptor. 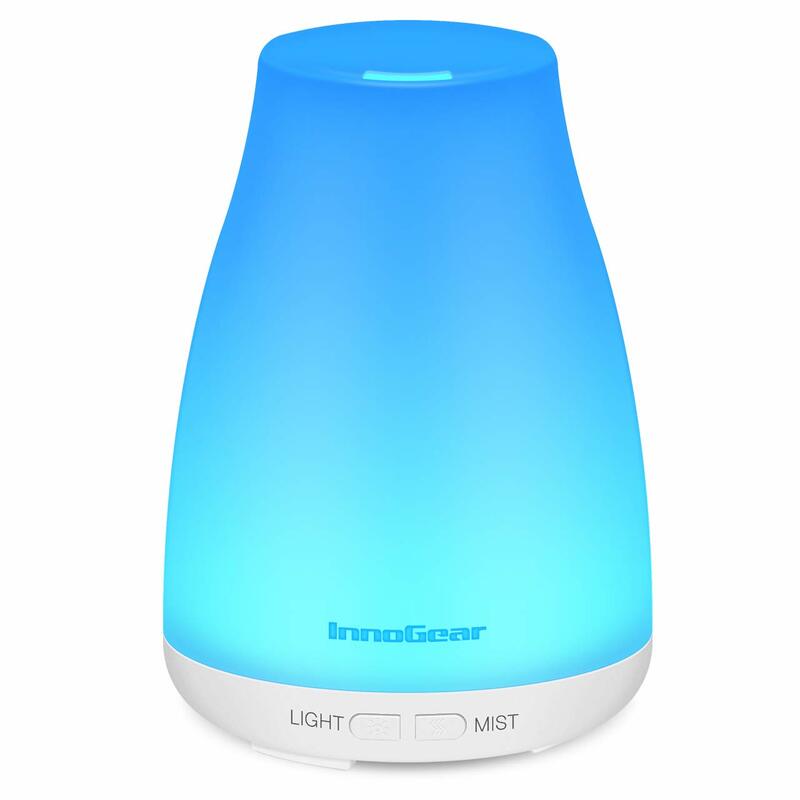 The InnoGear Aromatherapy Essential Oil Diffuser is one of the more compact picks on our list. But it’s still powerful. That’s partially because it’s a diffuser, a natural air purifier, and a humidifier all in one. Equipped with advanced ultrasonic vaporizing diffusion technology, this essential oil diffuser will vaporize essential oils of your choice, filling the air with a pleasant, fragrant mist. 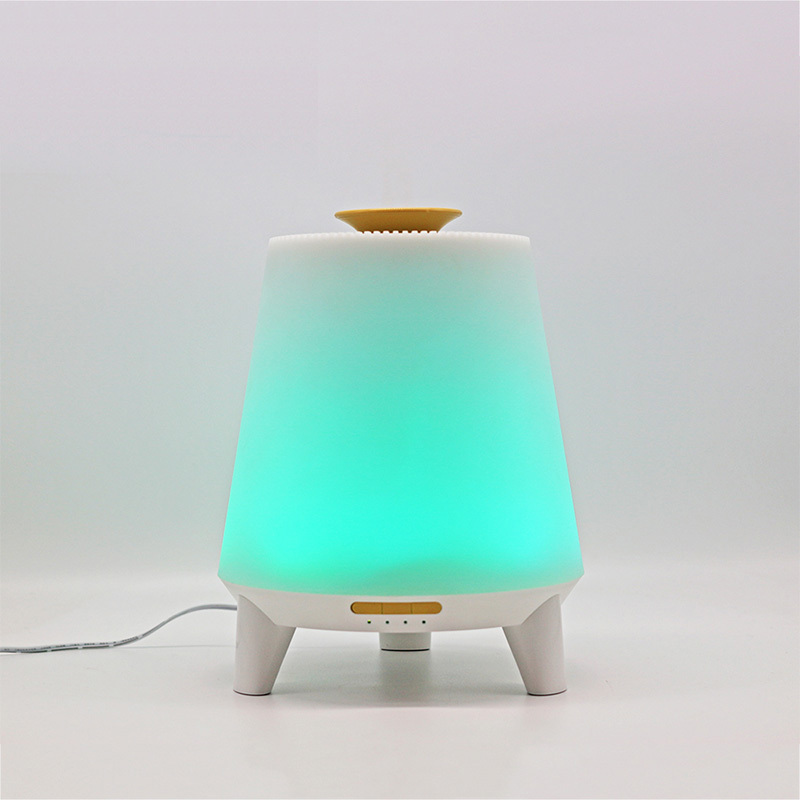 The diffuser also acts as a humidifier. Adding moisture to the air in your home can help eliminate dust and allergens, relieve dry sinuses, and eliminate coughing. It can also prevent your skin from becoming dry and chapped, and help you to sleep better. 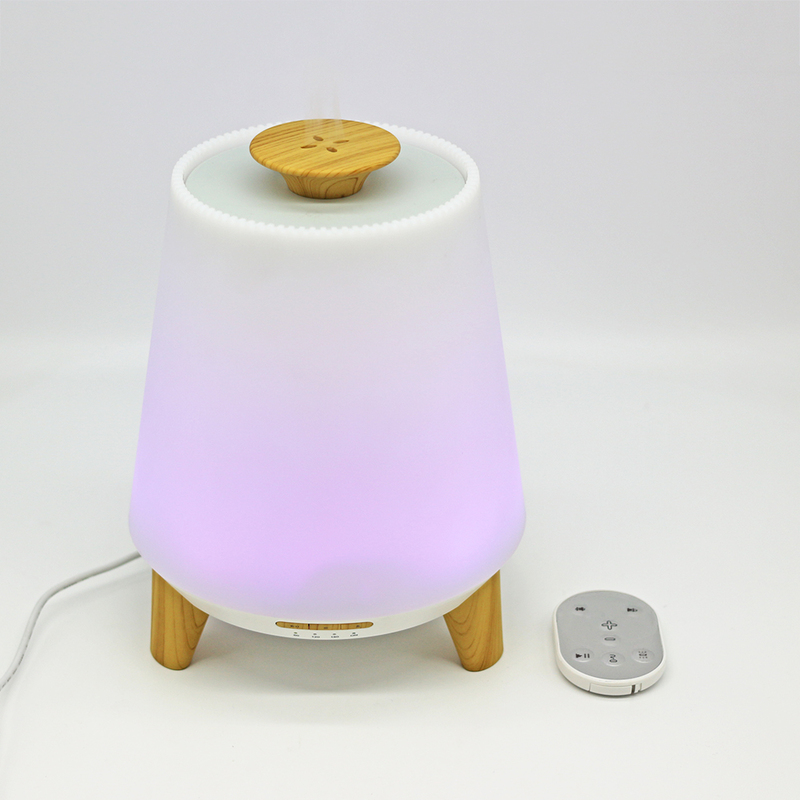 Here are two of things we really like about the InnoGear Aromatherapy Essential Oil Diffuser. This portable and compact essential oil diffuser gives you different working, cool mist modes to choose from. 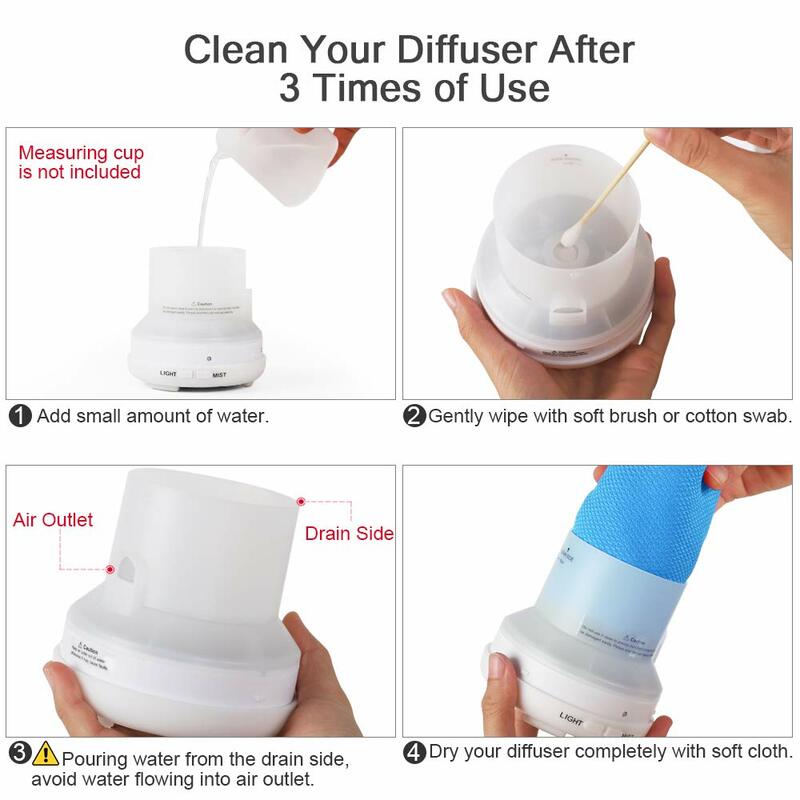 In “intermittent mist mode,” the diffuser goes through a cycle. It will diffuse for 30 seconds, pause for 30 seconds, and then start the cycle all over again. In this mode, the diffuser can run for between 6 and 9 hours. 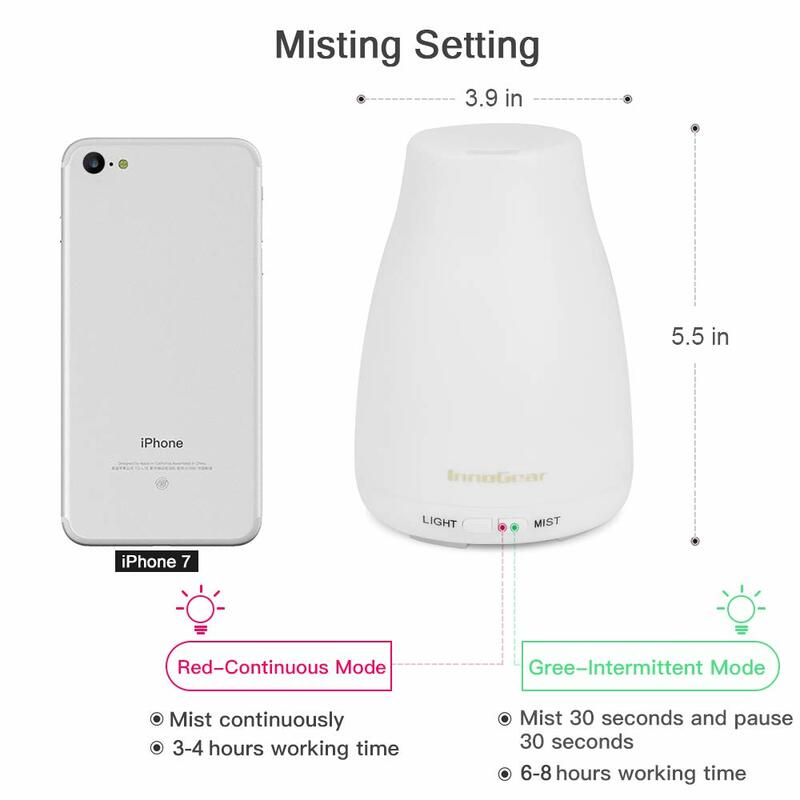 In “continuous mist mode,” the diffuser will run continuously for between 3 and 5 hours. 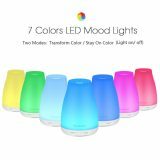 The InnoGear Aromatherapy Essential Oil Diffuser gives you 7 Changing Mood Lights to choose from, in seven different colors: green, dark blue, light blue, red, pink, yellow and white. The intensity of the light can be adjusted between bright mode and dim mode. And even if you don’t want to use the diffuser, you can still use the light. And, conversely, you can run the diffuser while leaving the light off. The InnoGear Aromatherapy Essential Oil Diffuser has a 100ml capacity water tank. The diffuser can cover an area between 100 and 150 square feet. It shuts of automatically when the tank runs out of water. Because it’s an ultrasonic diffuser, it vaporizes your favorite essential oils without heat, which preserves the integrity of your essential oils. The fact that it doesn’t use heat makes the diffuser safe to use around children and pets. It’s whisper quiet, so it won’t disturb your sleep. 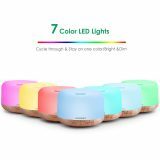 Each InnoGear Aromatherapy Essential Oil Diffuser is covered by both a 45 Day Money Back Guarantee, and a 12 Month Warranty. The Vitruvi Stone Diffuser is a bit different from the other picks on our list. 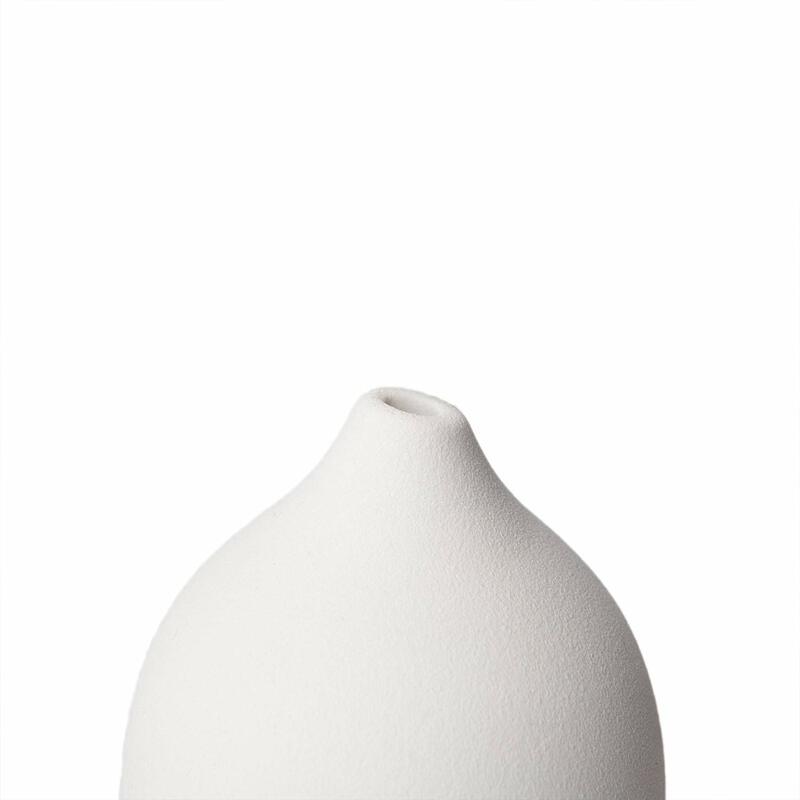 The biggest difference is that these diffusers are hand crafted using high quality, hand milled ceramic porcelain. 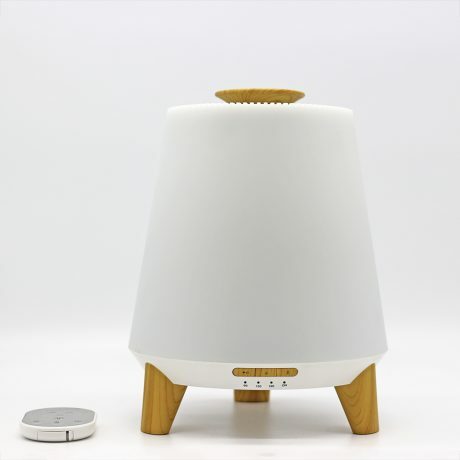 Rather than heating or burning your essential oils, the Vitruvi Stone Diffuser uses ultrasonic vibrations to diffuse the oils, so that they maintain their full integrity. We like the Vitruvi Stone Diffuser for several reasons. Vitruvi Stone Diffusers are hand crafted using matte stone. This gives the diffuser a lovely, matte ceramic finish, which makes it as beautiful as it is functional. The result is that the diffuser will seamlessly blend in with your décor. 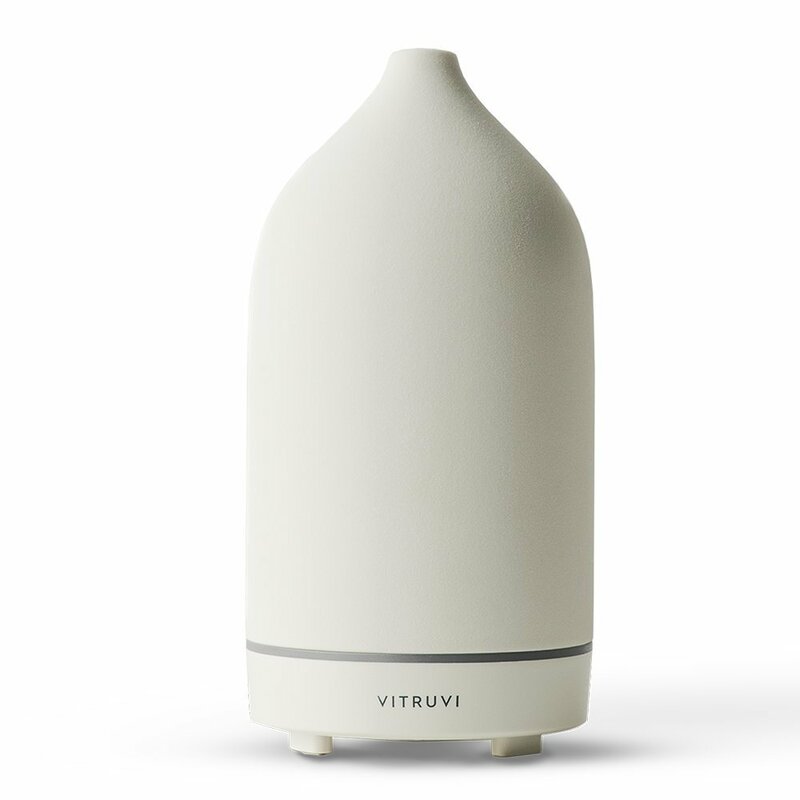 Despite being made of ceramic, the Vitruvi Stone Diffuser is easy to clean. All you have to do is remove the ceramic cover, which takes seconds. Next, you use a damp wash cloth to wipe away any dust, debris, or essential oil residue. Finally, just replace the cover, and the diffuser is ready to use. The Vitruvi Stone Diffuser has an optional light feature. The light can be used even if the machine isn’t actively diffusing. The water reservoir is made using BPA free plastic. The diffuser has a 100ml capacity water tank. It can diffuse essential oil in an area up to 540 square feet. It includes two timer settings. On the continuous setting, the diffuser can run for up to 3 hours. On the interval setting, the diffuser can run for up to 7 hours. The Vitruvi Stone Diffuser has an automatic turn off feature. If the tank runs dry, the diffuser will turn off automatically. You can also set the diffuser to turn off after a certain amount of time. Using an essential oil diffuser can have many benefits. Below, you’ll find just a few of them. You’ll also learn the benefits of specific essential oils. You can use more than one essential oil at a time in your essential oil diffuser, depending on the effect you’re after. You can also buy essential oil blends designed to have specific effects (like helping you to relax). Here are a few of the ways diffusing essential oils can benefit anyone in your household. 1. Diffusing essential oils can help you relax and sleep better. Some essential oils help to relax both your body and mind. One result of this is that you’ll find it easier to fall asleep at night. You’ll also sleep more deeply, so you’ll feel more rested the next day. But essential oils don’t just help you relax before bedtime. You can also use these fragrant compounds to relax after a busy or stressful day. And if you’re preparing to give a presentation, or getting ready to take a test, essential oils can help you feel less nervous. If you want to relax or get a good night’s sleep, try adding chamomile, clary sage or lavender to your essential oil diffuser. Sweet marjoram will also help you get a good night’s sleep. If you want to relax and de-stress, try geranium essential oil. If you’re feeling nervous, frankincense or ylang ylang will help you feel more calm and relaxed. 2. Diffusing essential oils can boost your energy and mood. If you’re feeling sad or down, certain essential oils can help to put you in a better, more positive mood. And if you’re feeling tired and worn down, some essential oils will give you the energy boost you need to get through the rest of the day. If you need a mental or physical boost, try adding essential oils like jasmine, rose, sandalwood, scotch pine, sweet orange, or vanilla to your essential oil diffuser. Other essential oils that can act as “pick me ups” include clary sage, eucalyptus, and peppermint. And just about any citrus essential oil, like lemon or orange, will help to give you a boost. 3. Diffusing essential oils can improve your health. Using essential oils, especially with a good diffuser, has more health benefits than you can count. Some essential oils have anti-microbial properties. And when released into the air as a fine mist, these organic compounds can help inhibit microbes that can make you ill. Some essential oils can help to boost your immune system. Many swear that they caught fewer colds once they started using a diffuser. Others say that, when they have had to deal with some illness, like the flu, their symptoms were less severe, and they recovered from the illness faster thanks to essential oils. What about the essential oil diffusers themselves? Well, many diffusers also act as humidifiers. Keeping the air moisturized can help inhibit things like potentially harmful bacteria. And if you suffer from conditions like allergies, asthma or sinusitis, your doctor has probably recommended using a humidifier to help open up your airway or relieve the pain dry sinuses can cause. If you’re interested in improving your overall health, try adding essential oils like grapefruit, juniper berry, lemon, rosemary, sage, or thyme to your diffuser. And tea tree oil is a great one to use if you want to give your immune system a boost. If you’re suffering from congestion, whether due to a cold, allergies, or a breathing disorder, essential oils like eucalyptus, lemon, peppermint, and rosemary can help to open up your airway. During cold and flu season, try diffusing eucalyptus, rosemary or thyme essential oils in any room where you and members of your family spend a lot of time. Essential oils can also help to relieve pain. Whether you’re suffering from a headache, arthritis pain, or sore muscles caused by a strenuous workout, diffusing essential oils like bergamot, chamomile, clary sage, eucalyptus, ginger, lavender, and rosemary, can help you find relief. 4. Diffusing essential oils can help you to focus and concentrate. Whether you’re working on a difficult project or studying for an important test, essential oils can help you to focus and concentrate better. And that, in turn, will improve your performance. Essential oils can also help to clear your mind and ignore distractions. If you need to focus or concentrate, try adding essential oils like basil, eucalyptus, lemon, peppermint, pine or rosemary to your essential oil diffuser. 5. Diffusing essential oils can improve your home environment. The most obvious benefit of using an essential oil diffuser is that it can fill a room with a pleasant fragrance. And the aroma will last longer than if you use scented candles, or a spray air freshener. 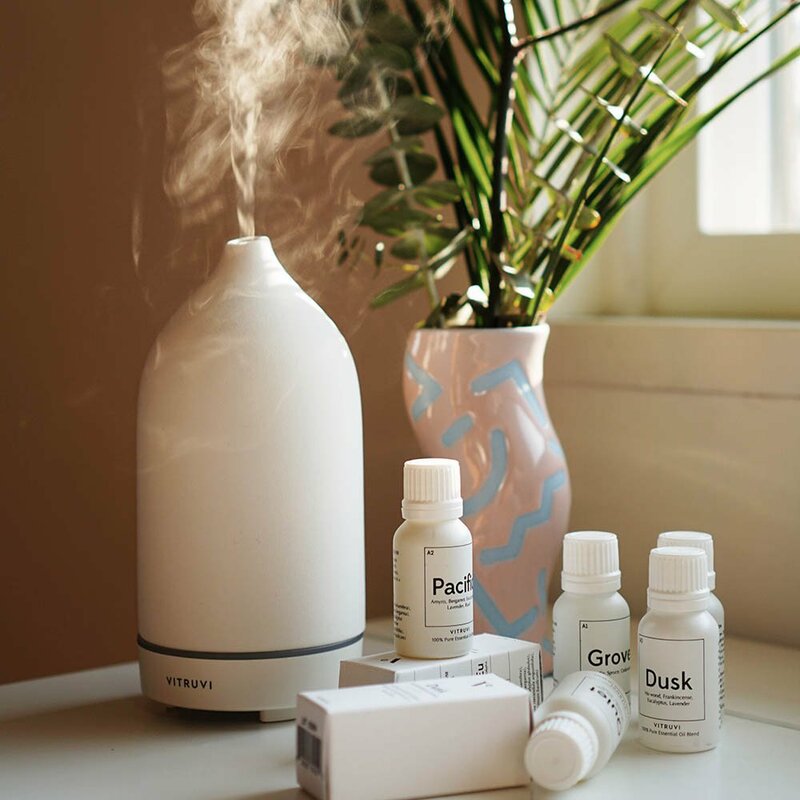 Diffused essential oils can also act as a deodorizer, covering up and eliminating unpleasant pet odors, the smell of cigarette smoke, or the odor left over from the garlic you cooked with last night. Essential oils that have a wonderful fragrance include cinnamon, lemon, orange, peppermint, rose, and many more. If you actually want to clean and purify the air in a room, you can diffuse essential oils like eucalyptus, lemongrass, oregano, or tea tree. If you have a pest problem, but aren’t fond of using chemical bug sprays in your home, there are essential oils that can help get rid of pests like fruit flies, moths, and mosquitoes. These pest repelling essential oils include cedar wood, lemongrass, and rosemary. Lavender might also be effective.Whether you want to sleep better at night, have more energy, fight congestion, or just fill your house with your favorite fragrances, diffusing essential oils in an essential oil diffuser is a quick and easy way to do it.